General Motors was one of the first truly multi-national corporations, boasting manufacturing plants in 250 cities by the late 1920s. 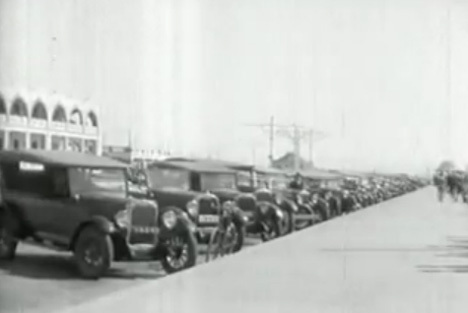 The company was a global force even in its early days, and GM produced promotional videos to show the world just how global and beneficial it was. This one from 1927 is a trip through some wonderful images from General Motors factories and offices all over the world. Set to gorgeous music by composer John Adams, the film is a history-packed trip through industrial history and nostalgia. It is, like all industrial promotional films, incredibly self-serving. But the confidence that it shows in American engineering and GM products is so wholesome it’s almost heartwarming. The film also gives a bit of a geography lesson, pointing out where each GM-connected city is located and giving some interesting facts about the population of each, comparing the global locations to the sizes of U.S. cities. See more in Vintage Videos or under Vintage & Retro. June, 2011.